Oct. 8, 2013, 2 a.m. 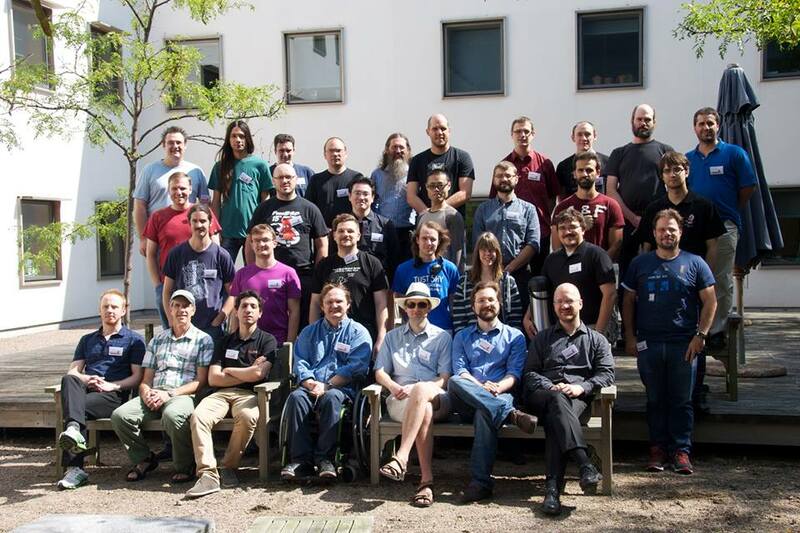 Some time ago I post my trip report to the Freebsd Foundation, now its time to post it here. Orginal post you can find here. I was invited to the Cambridge DevSummit. Cambridge University is closely related to my GSoC project because this is the place where Capsicum was born and the initial implementation created by Robert Watson and his team. We arrived late (around 7pm) on a Friday so we managed to only eat some dinner and go to sleep. We were accommodated in Sidney Sussex College. This is a very impressive College which is more than 400 years old. If you ever go to England, you should visit Cambridge and at least one of its colleges. The first two days were devoted to the integration of the group. We had lunches and dinners together. Jonathan Anderson took us for a walk around Cambridge and to the Cambridge Museum of Technology. In the museum we saw a lot of steam engines and some very old printing machines. The lightning talks and working groups started on Monday. We had a short talk by Ed Maste and Robert Watson about the FreeBSD Foundation. They told us how the Foundation works and its plans for the near future. Next, David Drysdale, Pawel Jakub Dawidek and myself had a working group about capabilities and Capsicum in FreeBSD. Pawel talked about some new features and the problems he faced during the project. After that, I attended the security discussion about /dev/random which was conducted by Mark Murray. I must admit that it was my favorite session. Mark told us how /dev/random works now and what he would like to change in the /dev/random algorithms. People attending this session proposed very useful ideas. That was a very educative and substantive discussion. If you are interested in learning more about this session, I recommend this link. On Tuesday, we had a few more sessions. I again attended to the security discussion where we talked a lot about security in pkgng. After that we had some talklets. My favorite talklet was about lldb and about X86 Binary Code Analysis. The first presentation was given by Ed Maste. He has convinced me to give the lldb a try as a replacement for good old gdb. Now I think this is very promising project and I would like to examine it more closely. The presentation given by Warren Hunt was very very impressive. He told us about formal proofs in computer science on binary code level. After few talklets we had Pawel's presentation about Capsicum and Casper. He presented his last few months of work in this project. He also mentioned some of my work. On Tuesday evening we had an official English dinner in Christ's College and this was a very exciting experience. After the dinner, we also managed to see old Darwin's office. On Wednesday there were some more sessions, but unfortunately I had to return home. The DevSummit was a very intensive five days. I met a lot of very interesting people from all around the world and I came to home even more motivated and with a lot of new experiences. I want to thank the FreeBSD Foundation for sponsoring my trip to the Cambridge DevSummit, and my GSoC mentor Pawel for inviting me to it.